The U.S. credentialing system is complex. Understanding how to navigate it can be difficult. Workcred is here to help. At Workcred, we connect and educate stakeholders to create a more integrated and effective credentialing system. 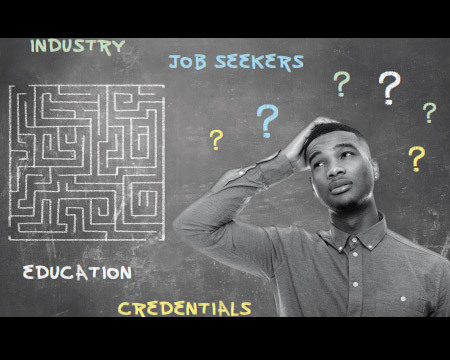 Whether you are an employer, education and training provider, credentialing organization, or government agency, we can help you better understand quality, so you can be a more effective creator and consumer of credentials. Quality credentials have credibility with industry, meet quality standards, and have provided evidence they are effective in the workplace.